This beautiful 3 bedroom 2 bath home is one you must see to believe! 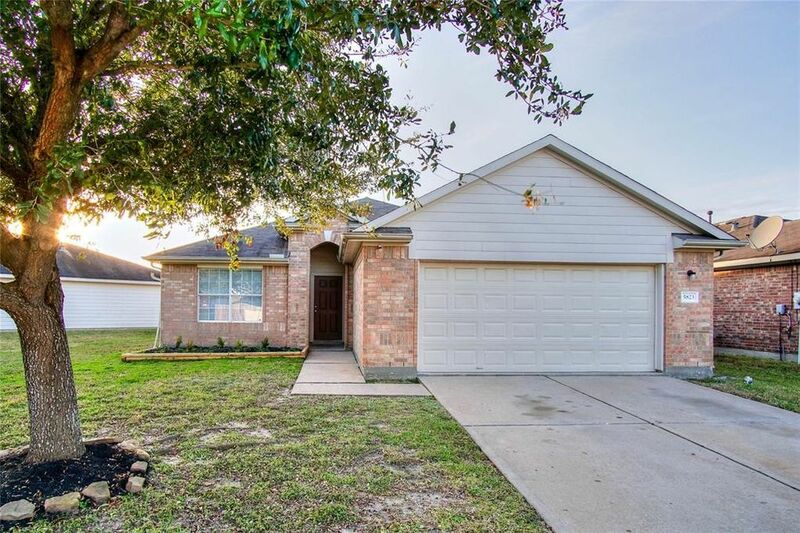 Upon entry, after passing through the tiled foyer, you are greeted by a large family room featuring hardwood laminate flooring, backyard access and large windows that shower the space in natural sunlight! Create your favorite chef inspired meals in the gorgeous kitchen equipped with tile flooring, granite countertops, mosaic tile backsplash and cabinets that provide tons of storage space! Attached to the kitchen is a light filled breakfast area perfect for early morning meals and more formal dining! In the evenings, withdraw to the spacious master suite complete with hardwood laminate flooring, a walk-in closet and a luxurious bathroom showcasing tile flooring, double sinks in a granite vanity, a whirlpool soaking tub and a tiled walk-in shower! The home also has a large backyard with plenty of green space for all your favorite outdoor activities! Don't miss out, this fantastic opportunity will not last long! Directions: From I-10 W, Exit Fry Rd & turn right, continue on fry, turn right on Coldfield Dr, Coldfield Dr turns in to Plantation Crest Dr, Home will be on the left.